I’ve mentioned it before but I will say it again, Boy do I love the bars near my home. During Craft beer week I decided to spend my Wednesday visiting two of my favorites. I started out at Tony’s Darts Away http://tonysda.com/in Burbank for a happy hour brew. I sat at the bar and enjoyed one of their awesome menu items, the vegan tater tots and had a chat with our bartender. Nikki (or Nicki sorry should have asked) is so great. 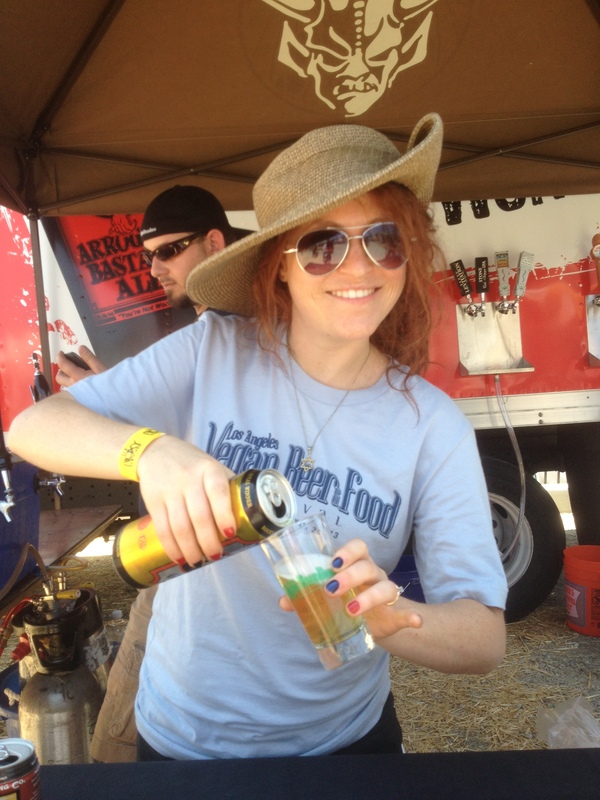 She is not only super friendly and fun, she knows her beers. I asked her if I could interview her one day. She agreed. So look forward to that blog. I told her I was a beer blogger, for folks who don’t know everything about beer. In fact I assume most readers don’t know much. And don’t care enough to google for answers. So I’m here to feed facts that I find interesting. Also to taste some beers and give my reviews. I tried TAPS Cream Ale. http://www.tapsfishhouse.com/brea/ TAPS is another California Brewery out of Brea. It was 5.3% so easy to drink, and it was a creamy ale on par with a Boddingtons. I won’t lie I still find Surf Brewery’s Mondo Cream Ale superior but this was super drinkable. I found out straight from their website that it is the Gold medal winner at the 2005 and 2001 Great American Beer Festival , Gold medal at the 2002 California State Fair and, Bronze Medal 2012 and 2007 Great American Beer Festival. I recommend it! More importantly I recommend Tony’s Darts Away! You know what I found out this trip to the bar? 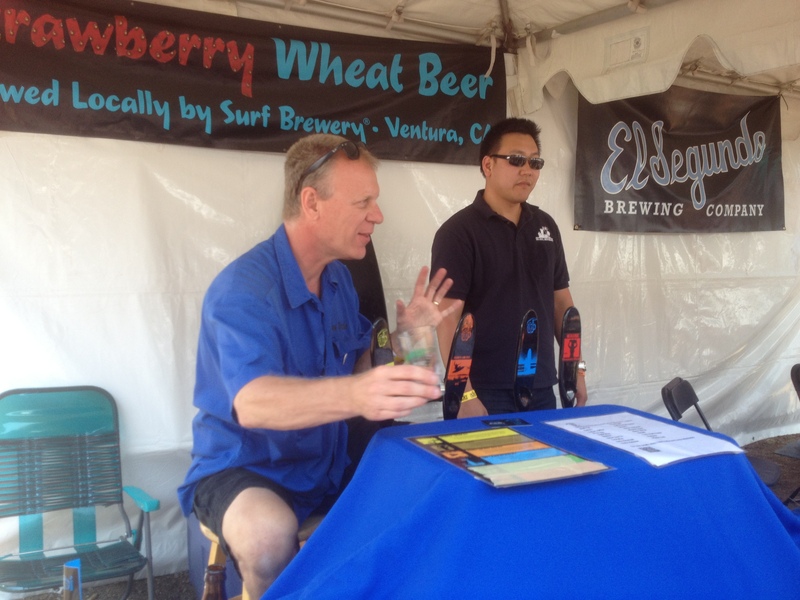 Okay for the true beer encyclopedias…I mean beer wikipedias, you know this already I did not. So for those not in the know this was a big find. So you know I don’t LOVE the IPAS. I tend to find most too hoppy, too much like drinking a Christmas tree, but every once in a while I find one I really like. And usually they are Double IPAS. I was dumbfounded. If I don’t like IPA why on earth would I like a double? Well Nikki told me that Double means double the malt not double the hops. SO the reason I like those beers is because its more malty (the stuff I like). OH wow. This changes everything. I shall go out and find IPAs and bring them back to review now. Thank you Nikki. Again like I said Im sure I could have googled that. But really when youre drinking who cares. But now I know and so do you! More about the awesomeness that is Tony’s in a future blog. Cause I love this bar and it deserves its own. 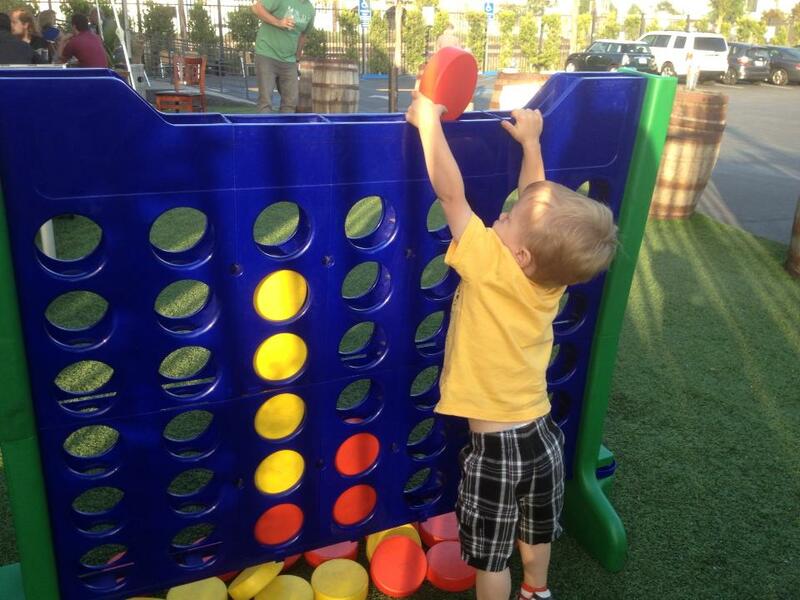 Next stop was to pick up the kids and head to the Pub at Golden Road for dinner. http://goldenroad.la/place/#/pub Okay let me say that I can’t even express to you how thrilled I was to have a brewery built down the street from me. And it looks cool. There are different brightly colored buildings, red, blue and yellow. One is offices, one is the actual brewery (they do tours!) and one is the Pub. And then to find out It had great food, and then to find out its kid friendly I was giddy. BUT this trip…(have to admit hadn’t been in a few months) this trip I found all the great things my friends and family can do while we are there. First of all for those of us who love our Outside drinking this is the spot. Their patio is GIANT they have an upper section, a section by the parking lot (which is dog friendly) and a giant portion on the side of the pub. This side has an outdoor bar (so you don’t even have to trek upstairs a few feet) open Thursday, Friday nights and Saturdays and Sundays. 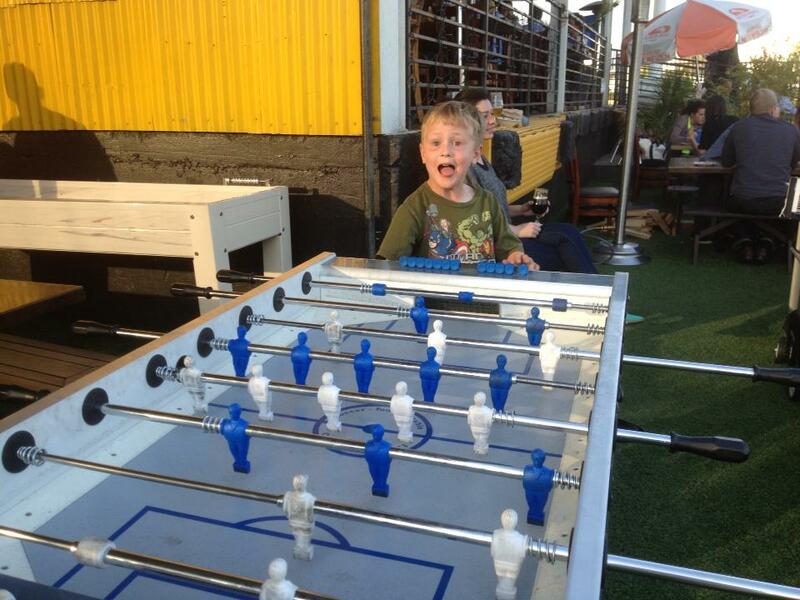 Initially I would bring my two boys there for dinner because the Pub sits almost directly next to train tracks. And if any of you reading have sons, yah trains are BIG. So we could enjoy a beer, and dinner and the boys would gobble up their spaghetti and watch the trains past by. But wait… Check out these games. 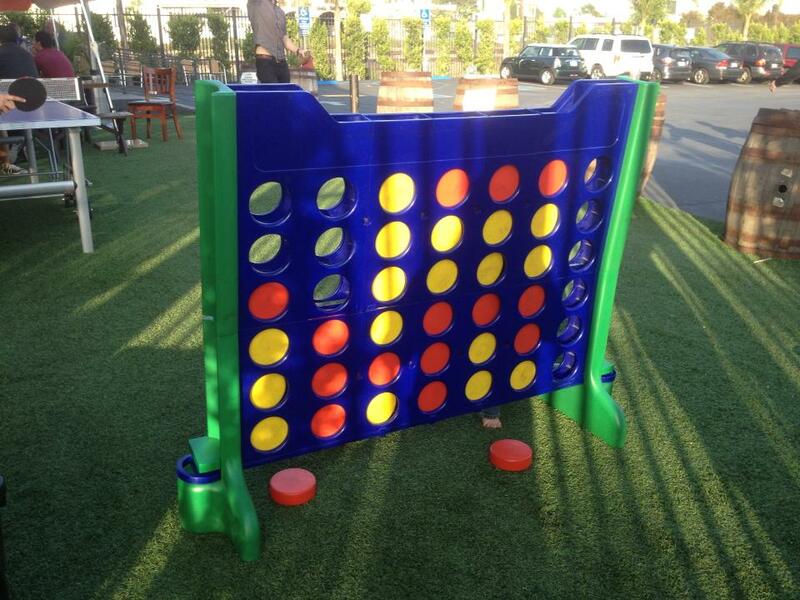 The outside area had a giant connect four, shuffleboard, foos ball, ping pong, sand bag toss, and an outdoor bar. WHAT? Are you kidding me? I can eat those delicious fries, have a pint and watch my kids play happily? Well this changes everything. PGR you are now my go to summer place like every week. 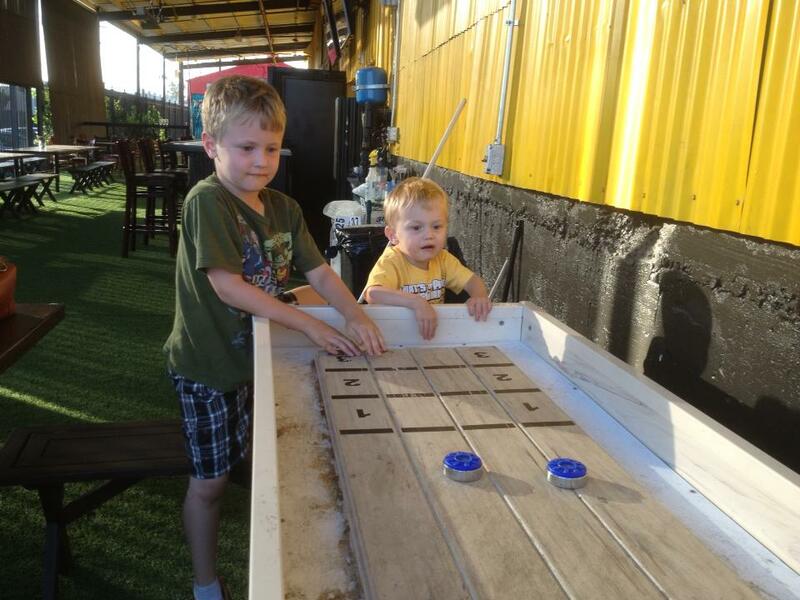 I don’t normally put pictures of my children in a beer blog but wanted to prove how fun this was for them. 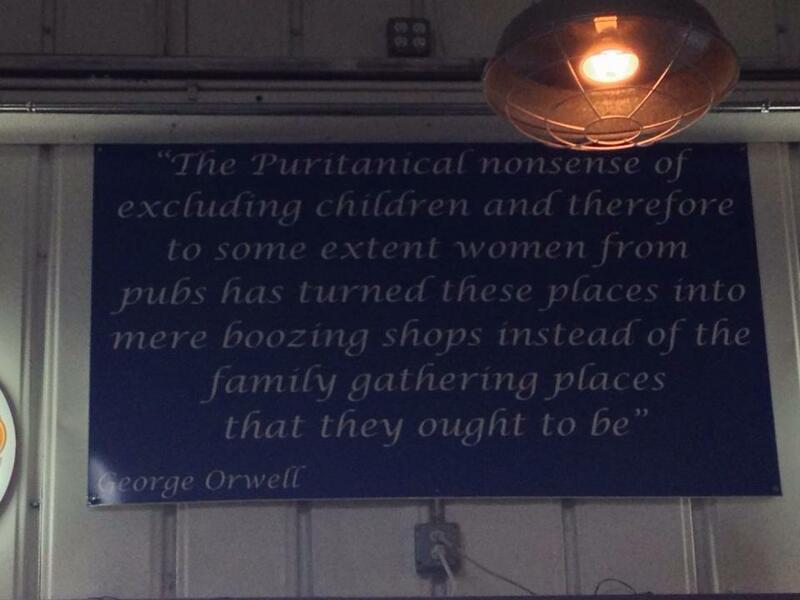 The Puritanical nonsense of excluding children and therefore to some extent women from pubs has turned these places into mere boozing shops instead of the family gathering places that they ought to be. – George Orwell Its true. I have mentioned in blogs before. If your kids are well behaved, meaning not running around bothering other customers, especially those there without kids, and you don’t drink what you would if you were out with friends and cabbing it home. 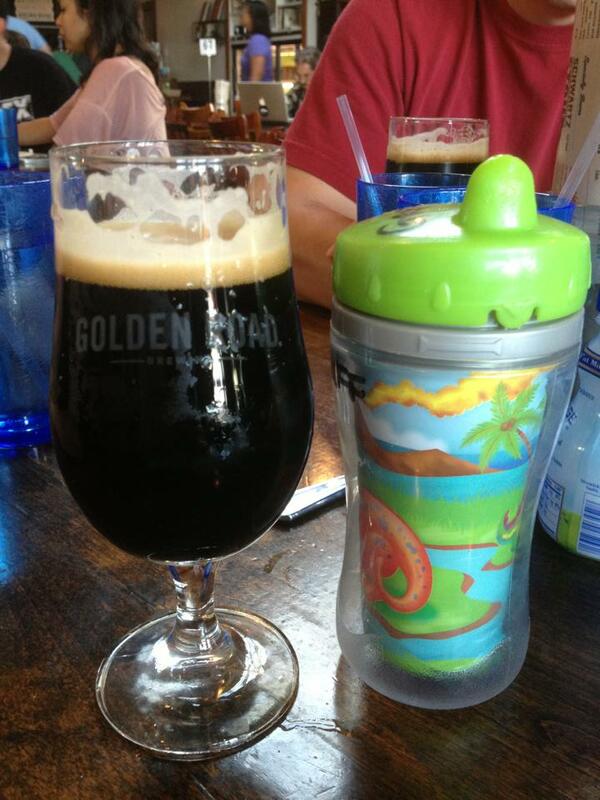 I find it more than acceptable to bring your kids to dinner and have a beer. I remember when my 6 year old was maybe a year and a half and we went to a Scottish restaurant/pub to celebrate Burns Night. My son was happily eating his chicken fingers, toasting his sippy cup against the pint glasses, dancing a jig with the patrons. A much older Scottish woman came up to me and said “your son is so cute, I remember when my son was a babe we’d bring him to the pub with us every time we’d go, you just don’t see that in America”. So PGR Thank you. We now have a place that my whole family can enjoy for dinner or lunch on a weekend. And don’t think I didn’t email every family I know who loves a good beer and has kids. Don’t worry they are nice kids and we won’t all come at once. Now on to the beer. I had to introduce Mr. Beerman to the Almond Milk Stout I had found at The Vegan Beerfest a few weeks back. We both agreed it’s a damn good stout. If you have a chance to get there before they run out do it! I just hope it becomes a staple. 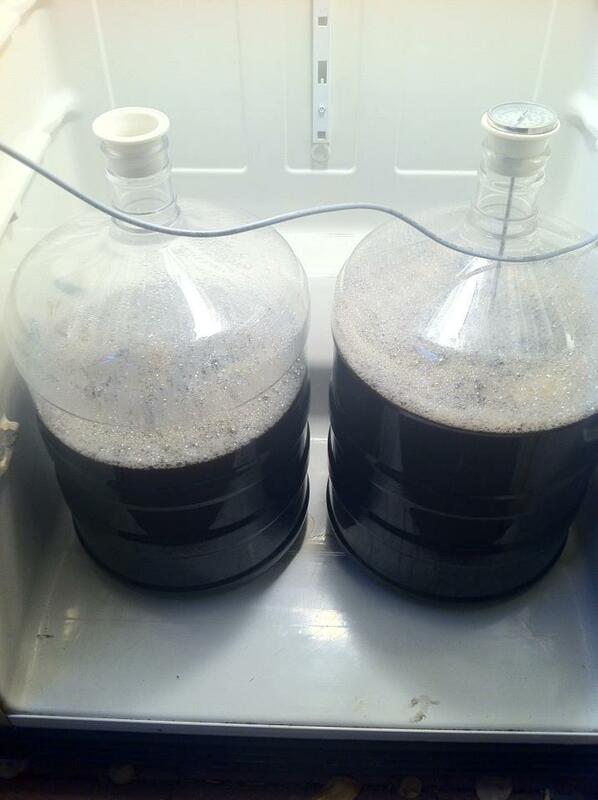 I also tried Aunt Sally’s Pale Ale. Pale ales were basically borrowed from the British. 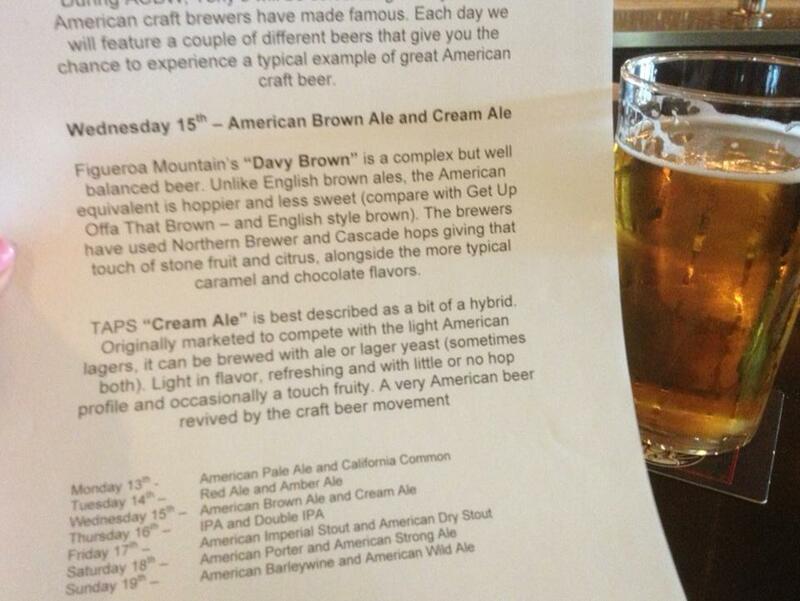 You know a good ol cup of ale….but American Ales seem to be a bit crisper and albeit a bit more hoppy. So I kind of liken them to a kinder gentler IPA. And much like I enjoy Golden Roads Point the Way IPA It was a really tasty pale ale. I highly recommend it! How can you beat a place where the food is great, the beers are brewed THERE, and you can come alone, come with friends, or bring the family. If you live in LA and you haven’t visited The Pub at Golden Road, you should. Maybe today. It’s still craft beer week! Do it! 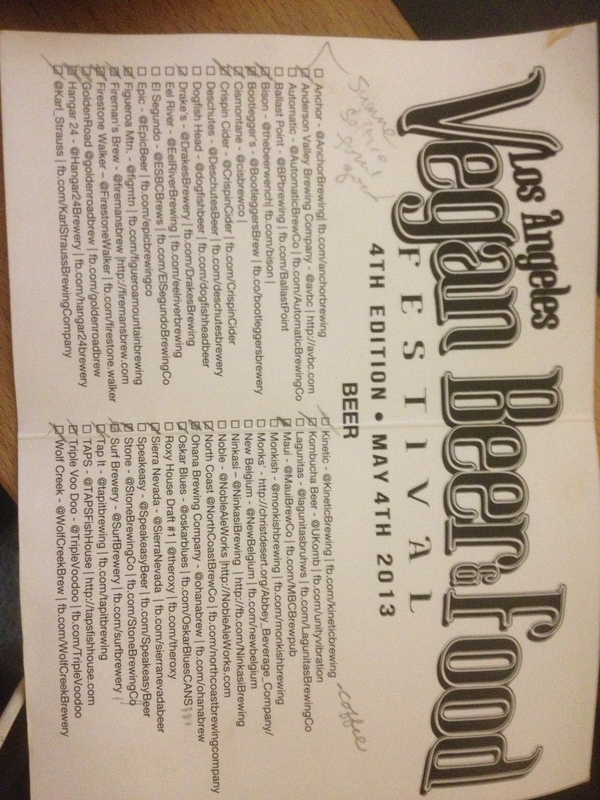 Sorry the blog on the LA Vegan Beerfest took a few days to come out. Let’s just say it was a rough weekend of recouping. Remember when we were 22 and could go out til 4am come home sleep 2 hours get up shower and go to work then roll it all again the following night. Yah well at 42 you go to a 5 hour beerfest on Saturday and an ABC wrap party (open bar) Sunday and you aren’t ready to sit down and write about drinking for at least three days. So I apologize. Here we go…. 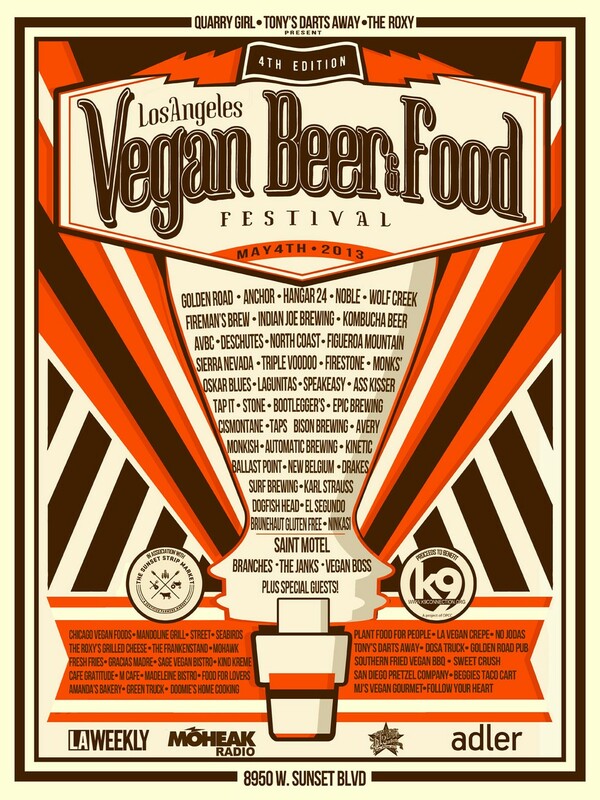 On Saturday May 4th I attended the LOS ANGELES VEGAN BEERFEST brought to you by Tony Darts Away, Quarry Girl and The Roxy in Hollywood, CA tickets were $40 for all the beer samples you like from 1-6pm. Also included were bands and food trucks (food was at an added cost). If you wanted to go in an hour early at noon VIP tix were on sale for $50 and they also had a VIP seating area. 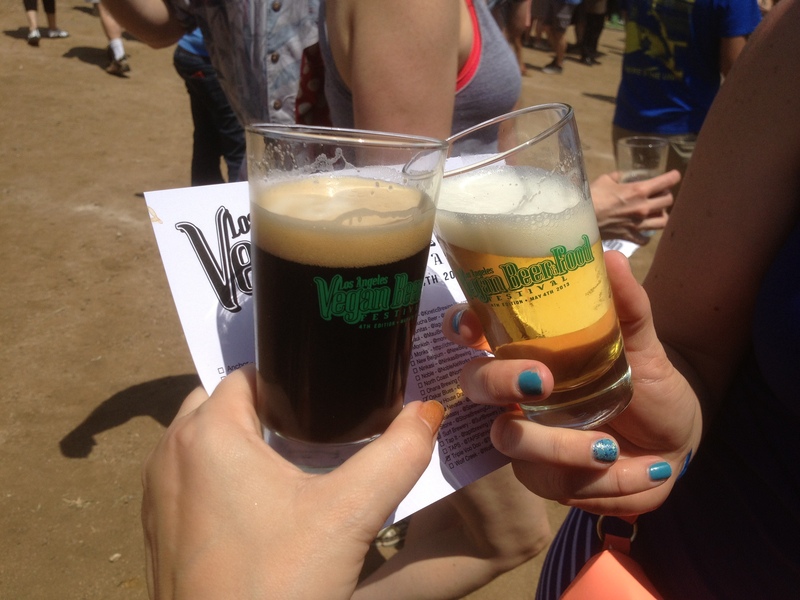 I went with my friends Tricia and John, (they have done prior beer fests with me and Johns a Vegan so we blended). I thought the booths were super aware of their audience. At the Crispin Cider booth one of the ciders they were sampling was a Honey apple and they were quick to point out that there was honey in it and asked if I was okay with that. Considering I had a giant tri tip steak sandwich before heading out to the fest I smiled and said “that’s fine, thank you for asking”. 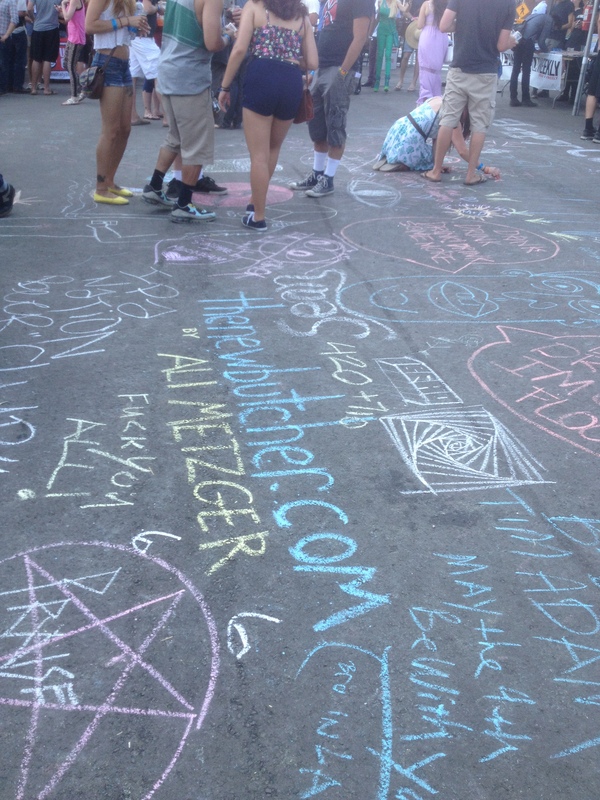 They even had sidewalk chalk fun! I should really begin with this Festival was awesome! So fun. So well done. So mellow. No one was rushing. No one was pushy. Just so fun. Just a giant thumbs up! And some of the nicest people ever were running this show. I can’t tell you how Twitter friendly they were. Whoever was running their social media was on it. Answering questions, tweeting, retweeting, just being so friendly, and dammit I loved these guys! Ok back to the actual festival.. First it was smaller than the last fest I attended. About half as many breweries I think 40 were there, but literally no lines. For good or bad I think I drank from well over 24 with multiple tastes (wait til you hear how my day ended) I never ever waited for a beer. There were a lot of people but it wasn’t crowded it all. The longest line I was in was to get Vietnamese Vegan Nachos. Im guessing maybe most of the folks were there for the Vegan food trucks (there were lots) and the bands. The bands were a fantastic soundtrack for the day. All of them were amazing! But I’m here to talk about the beers. Many of these breweries I have tried. Many I love. Can’t deny I love Firestones Pils I found at the last fest and I’m a big fan of their Velvet Merlin Stout, but I have to say my big favorites of this fest included Golden Road’s Almond Milk Stout, Oskar Blues Mamas Little Yella Pils (Had that one on Mr Beermans birthday but its so clean I had to have a few at the fest), Surf Brewery’s Mondo’s Cream Ale, Kinetics Rusted Coffee, Fireman’s Brew Redhead and I can’t tell you how many samples I had of Crispin Ciders Bird on a Wire Lets talk about these finds. 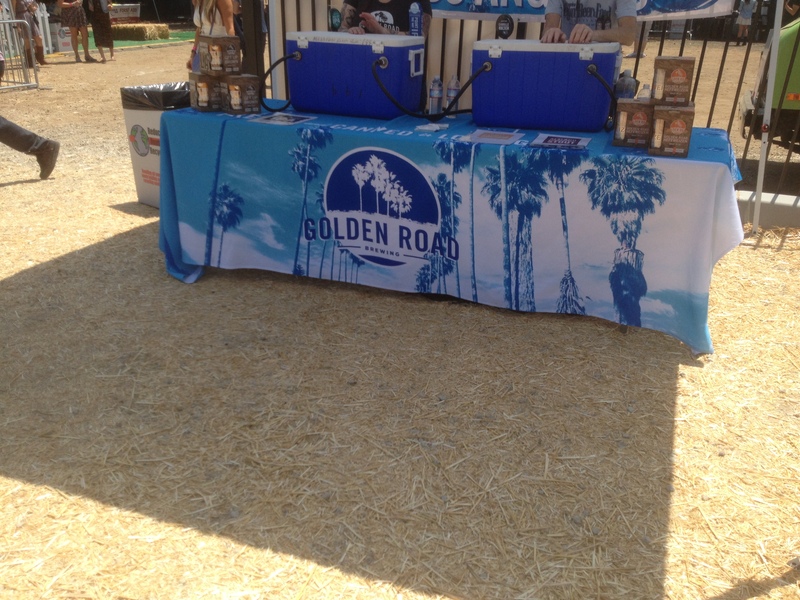 Golden Road http://goldenroad.la is one of my favorite places in LA. Its really close to my house and as I have mentioned in previous blogs, their Pub is outstanding. 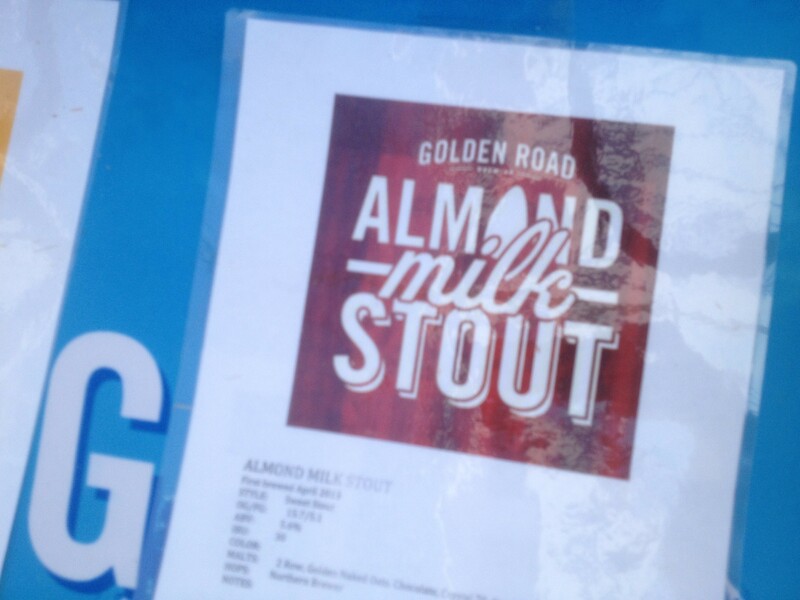 So for this fest they created a Vegan Stout with Almond Milk. 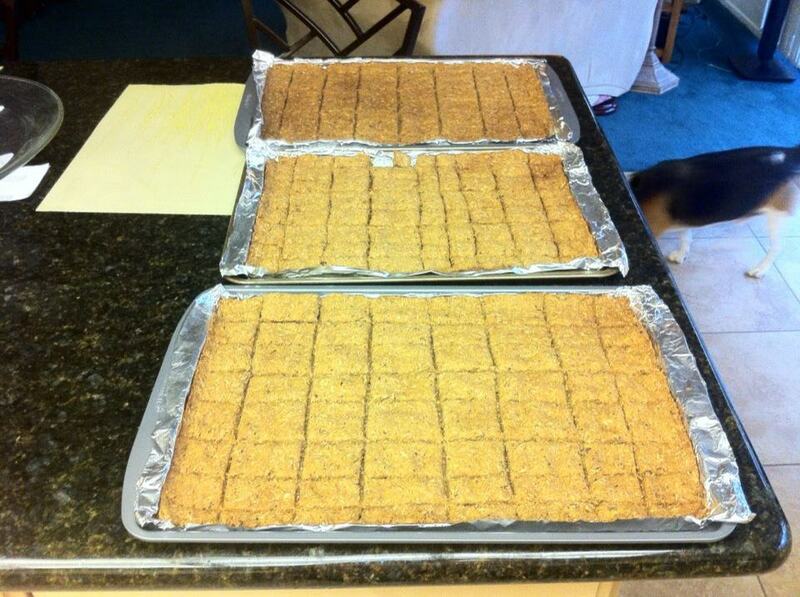 SOOOOOOOOOOOOOOO yummy. It was about 5% give or take a point (forgive I really need to take better notes when Im drinking). And this was maybe the 3rd beer I tried and went back multiple times during my five hours to try it again. Oskar Blues http://oskarblues.com just doesn’t let me down. 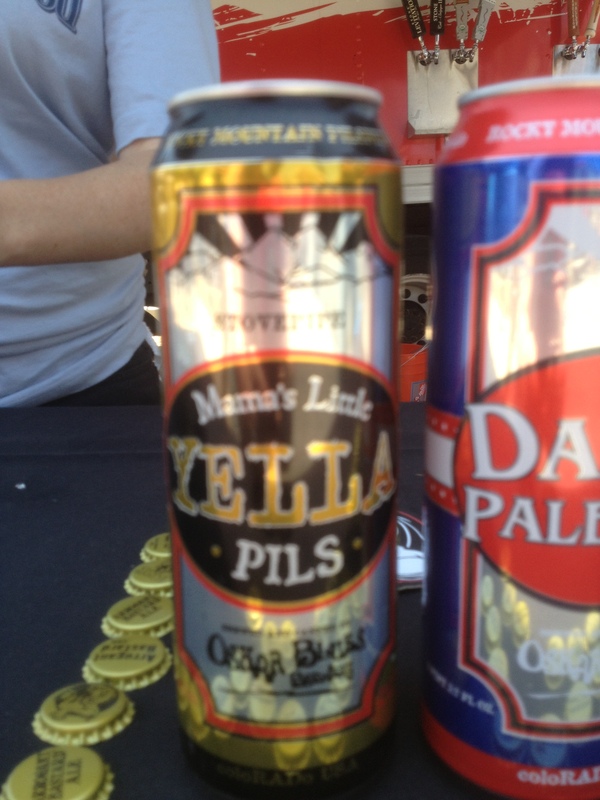 Mamas Little Yella Pils is so good. I love this beer and my friend John was looking for a clean crisp golden beer. This was it. 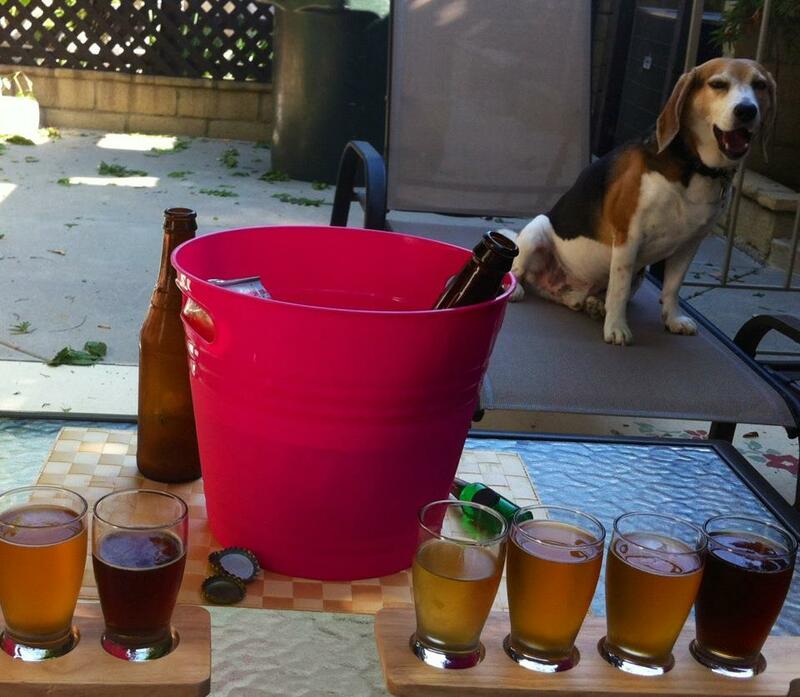 I think he may have had samples of this one more than any of the other beers combined. If you want a good pilsner for outside drinking this summer. Get this one. Surf Brewery – http://surfbrewery.com is one of my new favorite breweries! 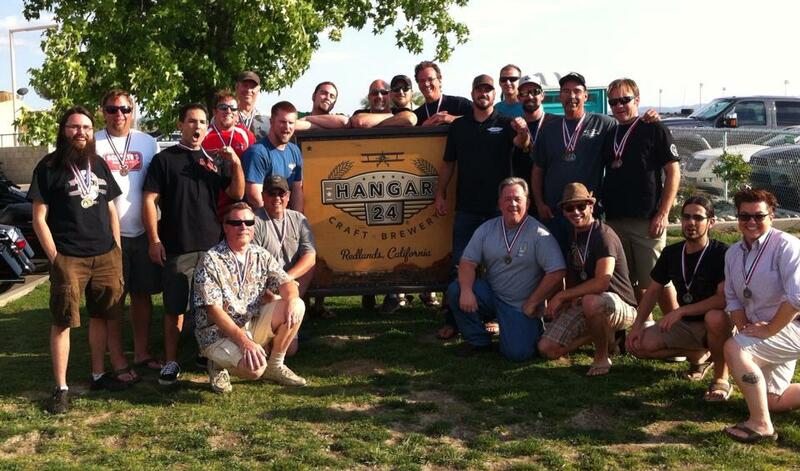 Out of Ventura, I really need to make it up there to their tasting room. 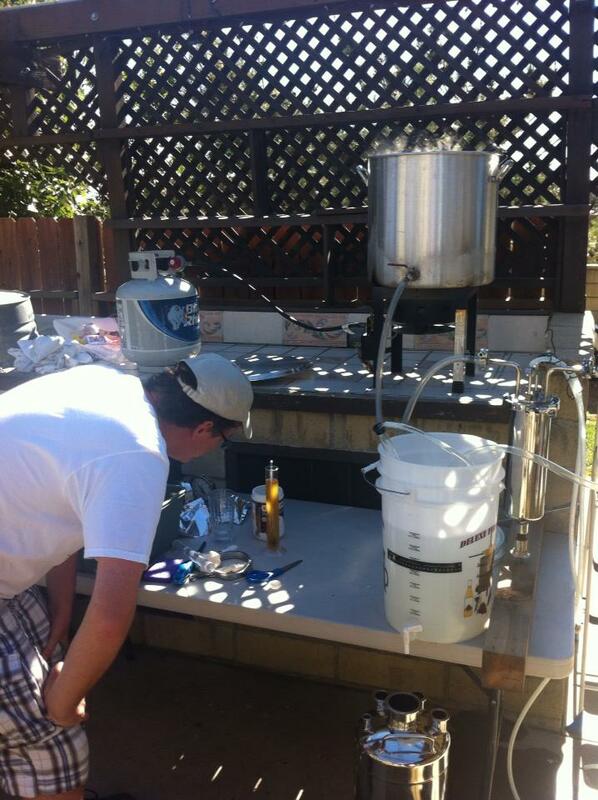 Lately Mr Beerman and I have been enjoying their Mondo’s Cream Ale with our Sunday Grilling tradition. Its like a Boddingtons but I think lighter and less carbonated. 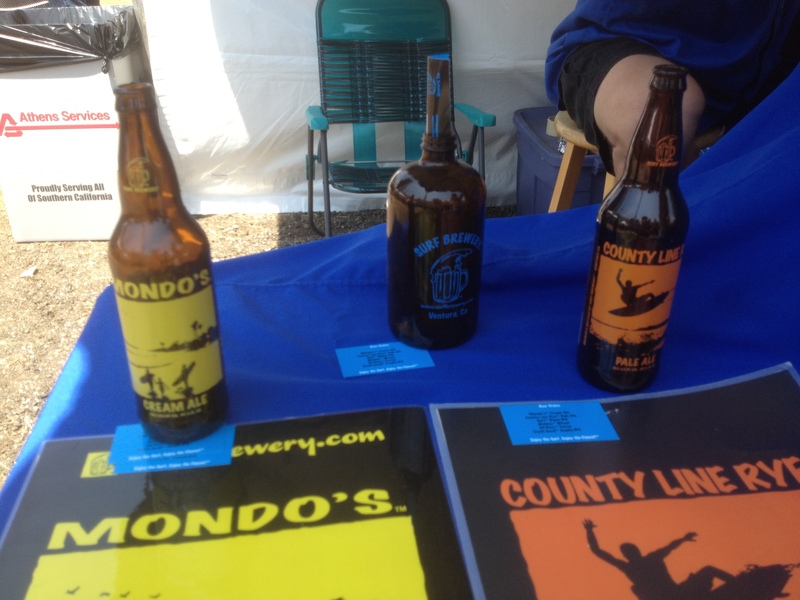 I was eager to find them at the fest since we were drinking their bottles from Bev Mo. The draft version was even better. I also tried their ale, and their strawberry wheat (which ran out fast must have been a crowd pleaser). My favorite is still the Cream Ale, but I encourage you to grab a bottle if you see them in your store. Good stuff! 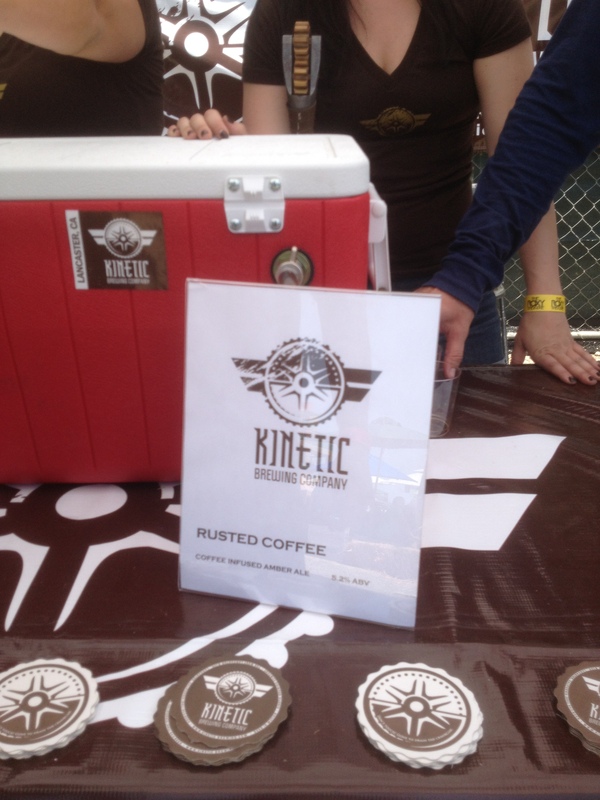 Kinetic http://kineticbrewing.com is a sneaky find. I almost am sad to mention that they told me they are not bottled yet. SO I think you need to find them in a local bar. Their Rusted Coffee was just that. It was SO coffee. 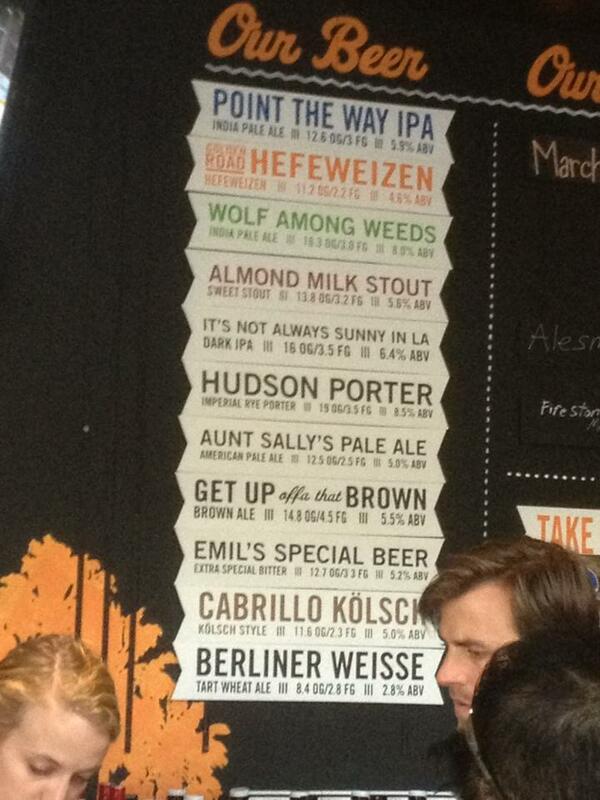 But not in a dark stout, or even porter way. This was an amber in color lighter than expected beer that to your nose was 100% a pot of coffee. It was nuts. I loved it. Smelled like Coffeebean tasted like a delicious ale! Find it! 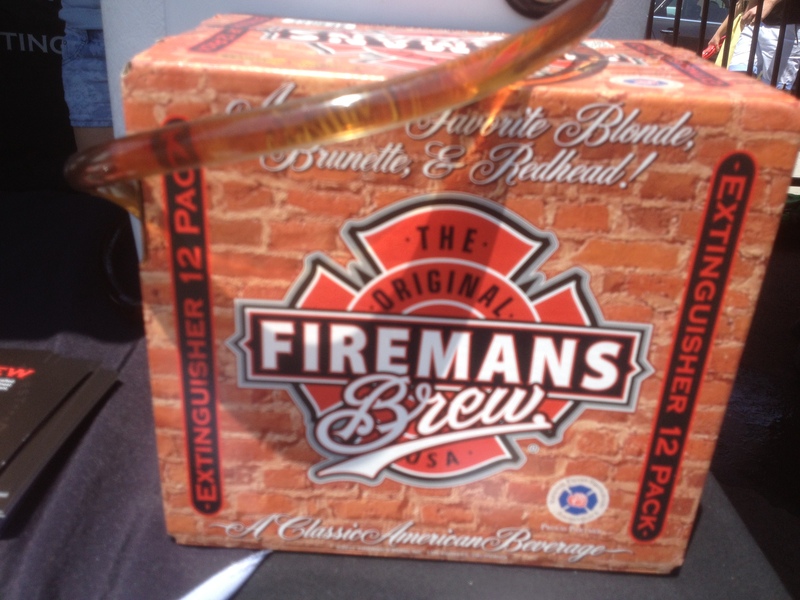 Fireman’s Brew Redhead http://firemansbrew.com Ok those who know me may think I like this beer just cause of its name (The Bierlady is one… a red head not a fireman, but Mr. Beerman is…, a fireman not a red head), but it was a good red ale. Its found in your local grocery store. Not particularly a craft beer. But it was a nice change toward the end of my day. Okay so my last BIG find was Crispins – http://crispincider.com Bird on a Wire. Its no secret that as of late I have become a cider person. When did that happen? Twenty years of drinking and I never had more than 3 ciders til this year. Now its my big find of a Beerfest. Well I can honestly say Tricia and I got our lil 4 oz glass filled up more than I can remember of this delicious, delicious, treat. http://www.crispincider.com/cider/products/barrel-aged/bird-on-a-wire/ This cider is blended right in whiskey barrels and at 6.9% its no apple juice. It has this aroma of apple with a slight smell of bourbon and although Tricia is a bourbon drinker I am not. SO don’t let that scare you. It was just the right balance. 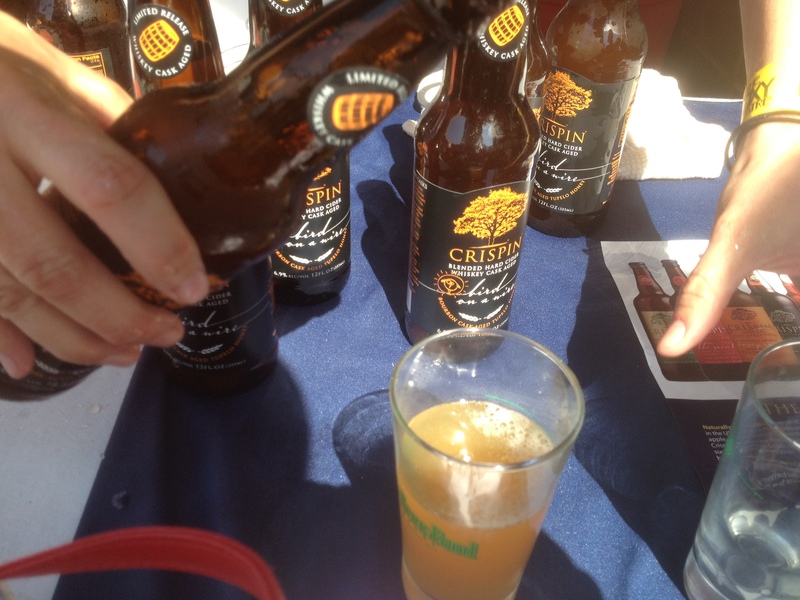 So far I have liked every cider Crispin does. And I put them heads and tails above Ace, Strongbow and any other Cider Ive tried. 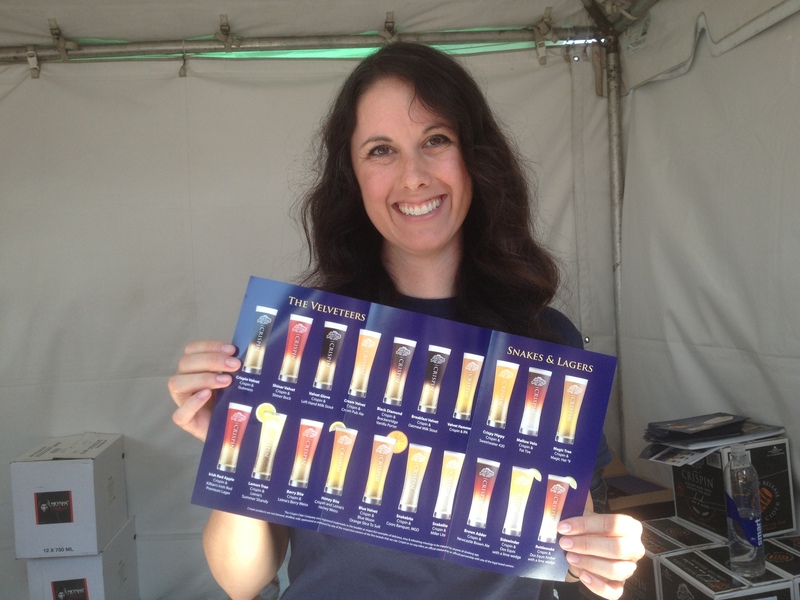 They even have a brochure online for Cider Cocktails. How fun is that! Try them all. But for sure try this one! So at the end of the fest I wanted to do a breathalyzer. Just to see what those little sips add up to. 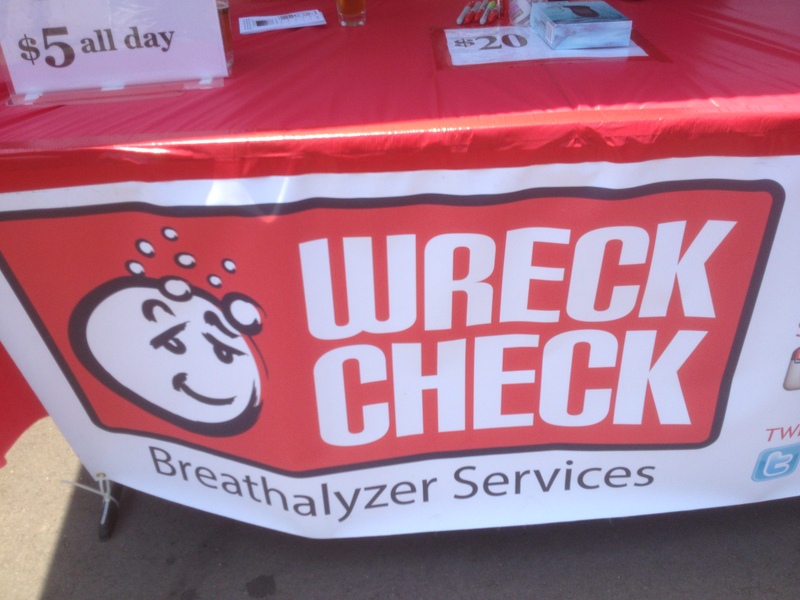 Wreck Check http://www.wreckcheck.me was a group encouraging folks to try a breathalyzer and see how the beer was affecting them. Side car is a great idea. It’s a ride share program of sorts. Folks in LA looking to make money can apply and as long as they have a clean driving record, go through a background check, etc they can drive you home in their own cars. I was worried at first but SideCar has a GPS on the driver and you can send your location and GPS to say your loving husband waiting for you at home. I tried it! A nice man picked us up, dropped off Tricia and John then carted me back to Burbank. For less than a cost of a cab. You have a record of this person on your phone and can even request them for future rides. And so we blew…When Tricia did it she clocked a .119. They wrote “Solid DUI” Now we weren’t driving so this was just for fun. So don’t panic. Now it was my turn. 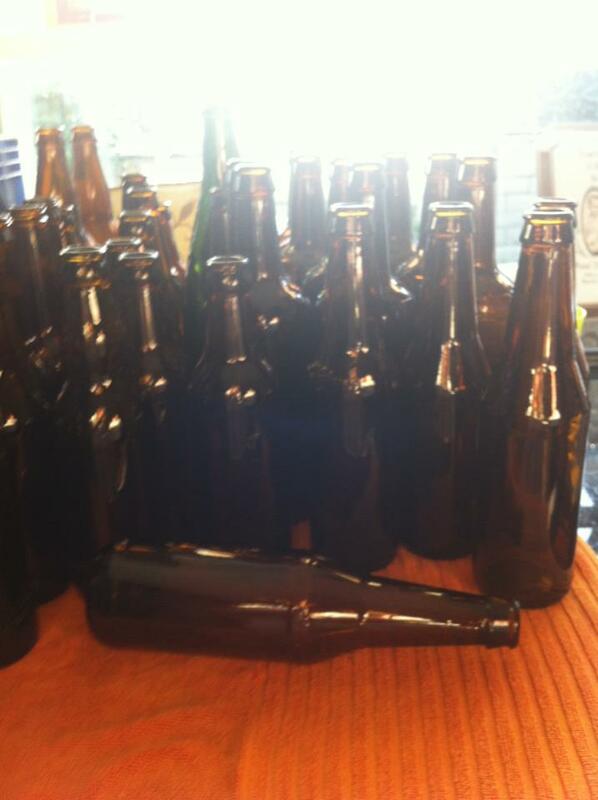 I wasn’t worried…I just drank beer, yes a few hours worth, but I was feeling tipsy at best. Not sick, not slurring, not walking funny, just feeling happy. 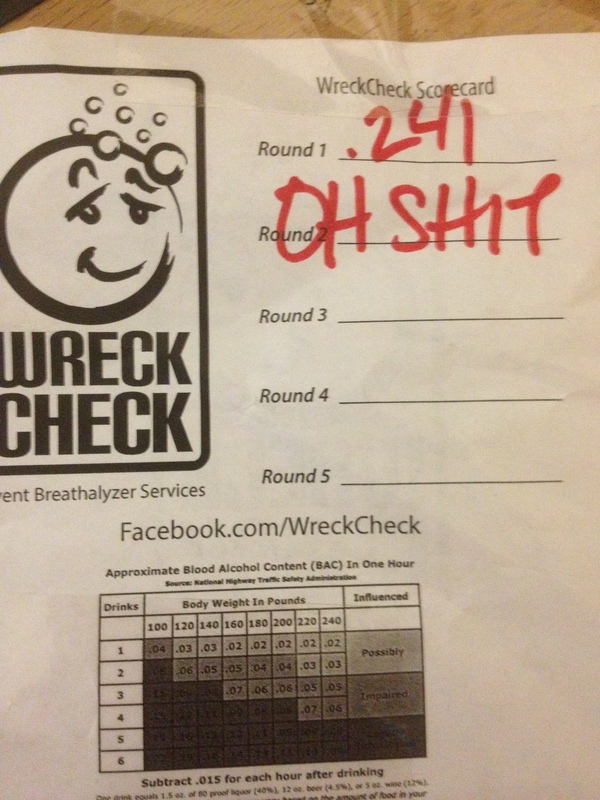 I clocked .241 on a Festival breathalyzer. That’s triple the legal limit to drive. And I showed no real signs of being super drunk. Hmm…that says to me no matter what you drink. No matter how tiny your samples are. No matter how good you feel. Be careful. Be smart. Call a cab. Or if you are in LA call Uber. Use the SideCar App…you have choices. 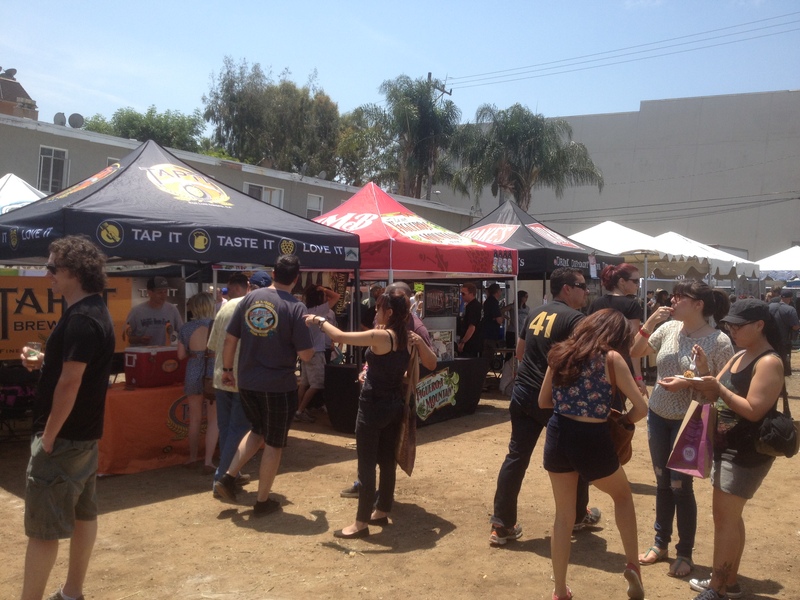 Overall I have to HIGHLY recommend this Festival to anyone who loves beer. And if you are Vegan or like great bands BONUS. It really was a great day. See you all at the 5th Annual! !